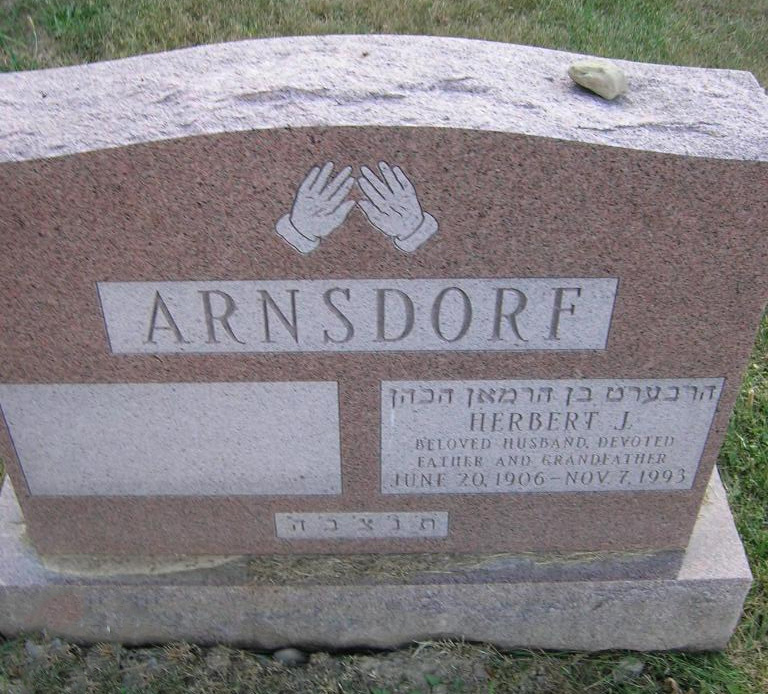 Herbert J. Arnsdorf, 87, of 209 Briarcliff Road, DeWitt, died Sunday at the Jewish Home of Central New York. Mr. Arnsdorf was born in Berlin, Germany, and was a resident of the Syracuse area for the past 44 years. He retired as manager from the Franklin Furniture Co. in 1966. He was a graduate of the University in Berlin School of Law. He was a member of Temple Adath Yeshurun. Surviving are his wife, Vera Arnsdorf; two sons, Dennis of Silver Springs, Md., and Ralph of Baltimore, Md. ; and four grandchildren. Services are 2 p.m. today at the Birnbaum Funeral Chapel, with Rabbi Charles S. Sherman, Cantor Emanuel C. Pearlman and Cantor Harold Lerner officiating. Burial will be in Adath Yeshurun Cemetery. Calling hours are 1 to 2 p.m. at the funeral chapel, E. Fayette St. Contributions may be made to Temple Adath Yeshurun or the American Diabetes Association of Central New York, 1603 W. Genesee St.